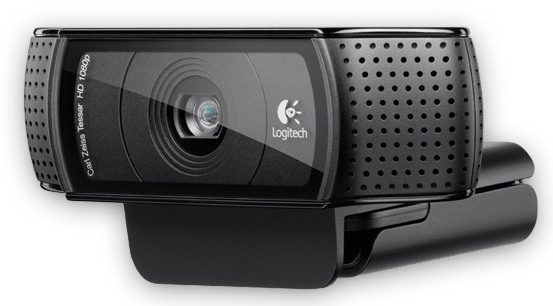 The C920 has a full HD resolution of 1080p which works when you are making your own videos and when video calling somebody, so long as your network connection has enough bandwidth (1 Mbps for 720p and 2 Mbps for 1080p quality). The maximum video capture resolution is 1920 x 1080 at 30 fps. The camera natively takes 15 MP pictures as well. The camera comes with automatic low light correction built-in so it is good for using it in a dark room (like at night). The camera also tends to auto-focus on one’s face which is a really useful feature especially when video chatting with other people.